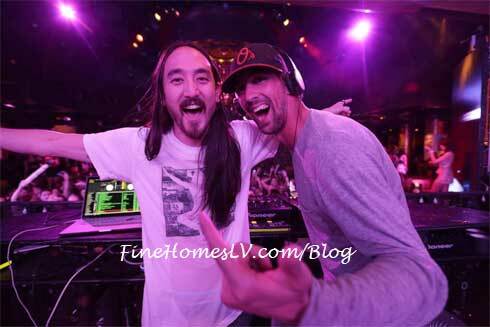 Michael Phelps was spotted picking up DJ tips at Wynn Las Vegas from David Guetta and Afrojack following his Olympic retirement in Las Vegas. 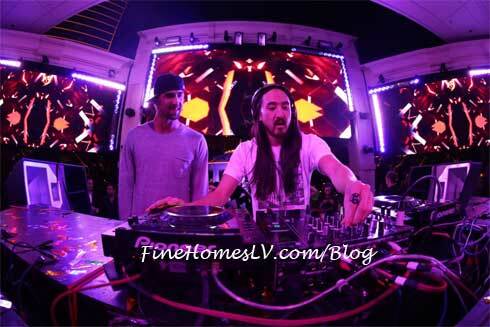 Back in Sin City this week, he was again seen at XS nightclub learning from the best of the best, Steve Aoki, during his monthly residency, Dim Mak Mondays. 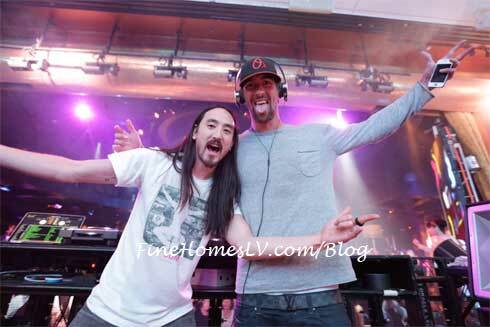 As one of the most passionate and entertaining performers in electronic dance music, Aoki showed Phelps the ropes behind his personal style, from crowd surfing, to jumping on top of the booth, to his signature Aoki jump that has become famous through social media. The two created an instant friendship and made the always-amazing set even that more fun for the clubgoers to enjoy inside the award-winning nightclub. 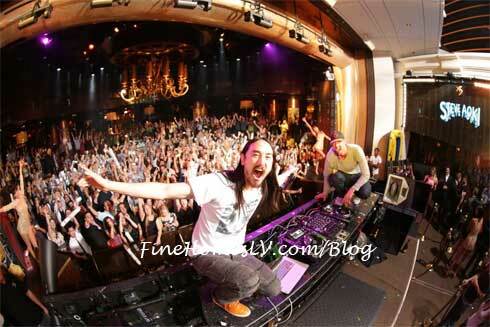 Photos credit: Danny Mahoney/XS Nightclub.